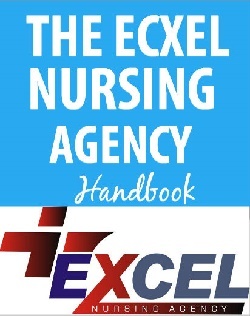 The Excel Edu Consult is a subsidiary of The Excel Nursing Agency Ltd. We are a leading Educational Consultancy Organization specialising in counselling and recruitment of Nigerian students wishing to study in leading overseas Universities and Colleges. We are currently associated with many reputable overseas institutions. We assist suitably qualified Nigerians seeking to study abroad to realize their dreams by providing them with career counselling and guidance so that they are able to make informed choices about courses at any of our overseas universities and colleges most suited to their academic ability and career aspirations. We endeavour to make the process of seeking and obtaining admission into overseas universities/colleges and securing study visas easier and less cumbersome. We also assist students in applying for and securing suitable accommodation either on campus or off-campus and we provide guidance and assistance in making flight reservations where necessary. Finally, we give pre-departure counselling on miscellaneous matters including the need for inoculation where required. The key objective of the services we provide to students and their sponsors is to ensure that students get the best advice and support here in Nigeria so that the process of applying for and obtaining overseas university admission and visas is as hassle-free and straightforward as possible. In particular, our experience in providing counselling and guidance to students seeking to obtain study visas has no parallel in the industry. Students applying to overseas institutions through The Excel Edu Consult are assured that they can indeed achieve their dreams without stress. At The Excel Edu Consult, we set out always to deliver top professional and quality educational, training and travel services to help our clients on their way to having a successful study abroad story and experience. With partnerships and affiliations with over 150 universities in 10 countries worldwide, we provide our clients with a wide range of options of universities to choose from. Our study abroad program includes services like admission processing, course advisory, visa documentation support, airport pickup, exchange programs, continuing education etc. some of our destinations include Canada, UK, USA, Russia, China, Cyprus etc. Advice to students on career prospects in Nigeria; visits to schools for presentations and briefings. Counselling students in their senior secondary school years on choosing ‘O’ & ‘A’ levels subjects related to their career aspirations. Parents are similarly counselled so they can appreciate what is involved and provide assistance and support to their children and wards. Advice to prospective students and their parents on the choice of overseas Universities for both undergraduate and postgraduate studies. Advice on overseas travel formalities including applications for entry visas, inoculations and flight reservations where appropriate. • Ensuring that our partner Universities are kept up-to-date about educational developments relating to high schools and Universities in Nigeria. Ensuring that only suitably qualified candidates from Nigeria (as regards academic attainments and good character) are recommended to our partner Universities for admission to both undergraduate and postgraduate programmes. Maintaining regular and effective liaison with our partner Universities to avoid or minimize the hassles usually associated with the admission process, especially during the clearing period in August / September. Kindly read carefully our terms and conditions before sending in your application to us. Our applicants are required to observe the laws and customs regulations of the Country as well as the University regulations and accommodation regulations. Our firm is committed to assist the student in getting registration, accommodation, health and Medical Insurance and proper information and guidance regarding the Students stay in the country. All financial transactions/payments are to be made to the Company’s Bank Account. Copies of the payment receipts should be handed over to The Excel Edu Consult. Kindly note that visa processing duration is arranged by the visa authorities. Application, Admission and Documentation fees are non-refundable after the process has begun. Visa issuance is at the sole disposal of the consulate and its authority. Our applicants are to provide all supporting documentation and evidence which are legal, valid and genuine. It is the duties of our clients to read all requirement for EACH CHOICE OF COUNTRY AND CHOICE OF SCHOOL BEFORE APPLYING. USA, UK, France, China, Canada, Australia, Cyprus etc. Kindly fill our application form below. IELTS (www.ielts.org) is an English test required to prove profiency in the Englsih language for study, migration or work. It is administered byb the British Council, in conjunction with Cambridge English Language Assessment. There are two types of IELTS: IELTS Academic and IELTS General Training. IELTS is usually required of foreign students by schools in the UK, Ireland, New Zealand, Australia or Canada. The test consists of 4 parts: Listening, Reading, Writing and Speaking. Your SAT score is a pivotal component of your college applications. Most colleges use these scores to help decide whether to admit students or not. As of March 2016, there are two SAT sections: Math, Evidence-Based Reading and Writing, plus an optional Essay. The Essay results are reported separately. Start to finish, the test will take you three hours and 50 minutes. The SAT exam is offered nationally every year in October, November, December, January, March, May and June. SAT registration deadlines fall approximately five weeks before each test date. This Examination is accepted in colleges in the United States of America and Canada. High grades in the SAT is usually a precursor to obtaining scholarship from both countries. Gender, mailing address, and current grade level. An acceptable photo of yourself that looks like the photo on your ID and matches the way you look on test day. The test type, test date, and test center you’re choosing. Payment or a fee waiver. The TOEFL iBT® examination delivered via the Internet is the most widely respected English-Language Test in the World. It is recognized by over 9000 institutions of higher Education in more than 130 countries. The TOEFL iBT test measures your ability to use and understand English at the university level. And it evaluates how well you combine your listening, reading, speaking and writing skills to perform academic tasks. The TOEFL test has more test dates (over 50 per year) and locations than any other English-language test in the world. This examination is accepted as a proof of English language proficiency in most countries. The GMAT examination will help you stand out during the admissions process. The GMAT exam is the most widely used and trusted indicator of academic success in MBA and other graduate business degree programs. Nearly 9 out of 10 new MBA enrollments were made using a GMAT score. Quite simply, the GMAT lets you showcase the skills that matter most in business school and beyond. The GMAT takes three and a half hours to complete the four sections of the exam – Analytical Writing Assessment, Integrated Reasoning, Quantitative, and Verbal. Your scores are valid for a period of 5 (five) years after the Exam is written. This Examination is very useful for those planning to enroll in post graduate level business programs in the USA and Canada. High scores in the GMAT also qualifies one for full/partial scholarship in some of our partner universities. Other examinations include GRE and lots more.